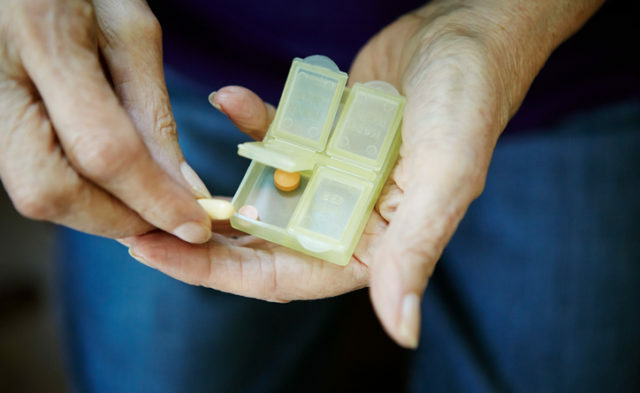 HealthDay News — Ropinirole, bromocriptine, and piribedil are associated with the highest incidence rates of adverse effects in Parkinson disease, according to a review published in CNS Neuroscience & Therapeutics. Bao-Dong Li, from the Hebei Province Cangzhou Hospital of Integrated Traditional and Western Medicine in China, and colleagues conducted a systematic review to compare the adverse effects of 11 drugs used to treat Parkinson’s disease. Data were included from 24 randomized controlled trials. The researchers found that, compared with placebo, the incidence of adverse reactions of ropinirole, rotigotine, entacapone, and sumanirole were higher in terms of nausea. The incidence rates of dyskinesia side effects were highest with ropinirole, while in terms of patients’ hallucination, pramipexole was significantly higher. The surface under the cumulative ranking curve values of all drugs showed that the incidence of adverse reaction of pergolide was relatively high (nausea, 83.5%; hallucination, 79.8%); the incidence of dyskinesia and somnolence was higher with ropinirole (80.5% and 69.4%); in terms of dizziness, the incidence of adverse reaction of piribedil was higher (67.0%), and in terms of constipation, the incidence of bromocriptine was relatively high (62.3%). “In addition to current forms of treatment, we hope that our results can produce useful information for further development of new drugs to treat Parkinson disease based on the natures of each drug,” the authors wrote. Li BD, Bi ZY, Liu JF, et al. Adverse effects produced by different drugs used in the treatment of Parkinson’s disease: A mixed treatment comparison. CNS Neurosci Ther. 2017;23(10):827-842.